There are so many things I wish I made homemade, and Pinterest has made is pretty dang possible for us to never eat anything from a can. There’s homemade ‘cream of whatever‘ soups, hot chocolate mixes, homemade milks, and a whole host of things you can make in your own kitchen. These products don’t contain the added preservatives, sugars, sodiums, dyes, etc that you see in pretty much all shelved items. The joy of homemade cooking is that you get to see and control exactly what goes into your body, which is so appealing to me. The older I get and the more health-conscious I become, the less I want to shop from the shelves of the grocery store. Have you heard the idea that you should be shopping along the edges of the store? Big on the produce, some dairy, and whole grain products. So little by little, I am trying my hand at making basic canned and jarred foods straight from the kitchen. With real ingredients. Ingredients that make sense. Ingredients that I can understand. Ten+ years ago when I chose a vegetarian lifestyle, I never thought I would end up here. I thought I would just cut out meat and call it good, but as I get older, I’m seeing that I want more. I want more REAL food. Down the road, I wouldn’t be surprised if I was eating completely raw, vegan, and clean. I’m surely on my way there. So this is where I’m starting. BBQ Sauce. Because it’s summer, and summer requires BBQ Sauce. Slathered on tofu… and of course chicken, ribs, steak, if you’re into that too. All of it. Kids are supposed to get sticky with BBQ Sauce. It should be on their hands, mouths, and tee shirts. Because that’s what summer is about. The awesome thing about this recipe is that it is so simple. You throw all your ingredients in a saucepan, stir it up, and let it simmer for about an hour, stirring every so often. Easy and so worth it to have a peace of mind about the food I’m consuming. What other foods would you like me to make from scratch? Can you please tell me the difference in using KETCHUP as an ingredient vs just buying BBQ sauce off the store shelf? They are both full of unhealthy ingredients! I absolutely agree with that, and that’s why ketchup is on my list of recipes to make from scratch instead of buy. It’s all about baby steps for me. Little by little, I will be crossing off my list of store-bought items and keep them all homemade. Thank you for your good point! That’s a good point Ashli. I bet you could and then add a lot of different spices. I’m going to have to experiment with this in the near future. I love BBQ sauce on chicken and sometimes burgers. I’ve never tried making my own! Thanks for sharing at Pin It Thursday! Happy to share! You should try it out.. it’s super easy and tasty! 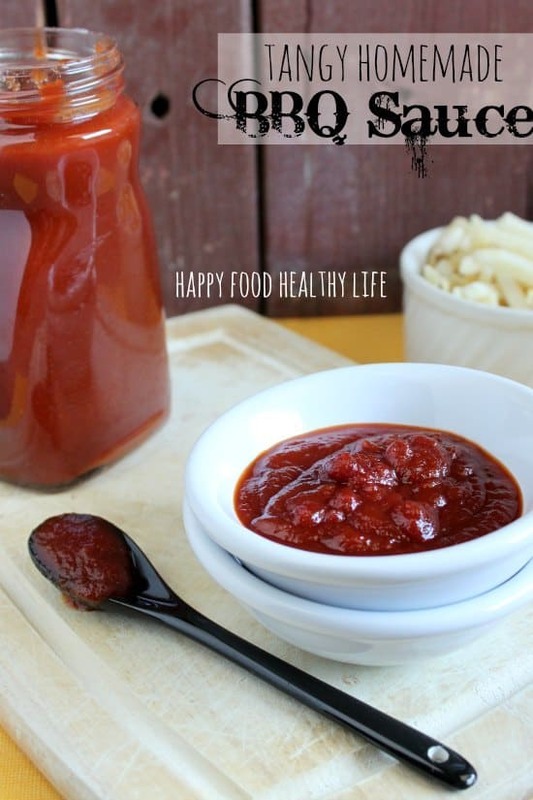 I had no clue bbq sauce was that easy to make. This whole time I have been buying it because I thought it might be a little bit more complicated than that. SO many from-scratch recipes really are just this easy. I hope you try this one out! This is wonderful. I am new to this journey and have been delighted to find healthier, homemade recipes of all the things we love. Thanks for the encouragement! making things from home that you would normally buy from the store shelves are just one of my steps to living a healthy life, and I am thoroughly enjoying it! 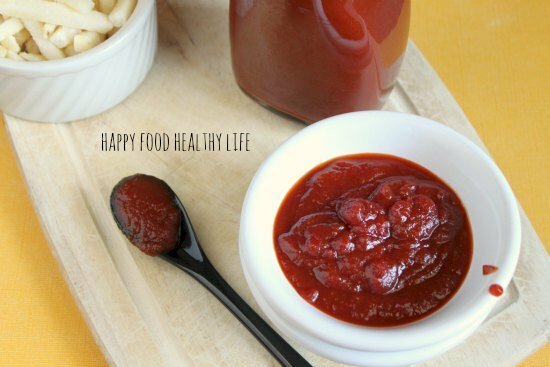 I make my own ketchup, but for this recipe I used strained tomatoes (the brand I used is Mutti, but I think there are lots out there) an the BBQ was great. Thanks for a wonderful recipe – a new staple for me! I’m so glad you tried it and loved it!! It’s one of my favorites too.